Inherited from Hakka Chinese origins, Yong Tau Foo is a dish that consists of ground meat or fish paste stuffed into tofu and vegetables such as okra, bitter gourd, eggplant and chilli. Served either dry accompanied with dipping sauces or as a hearty soup dish. The Yong Tau Foo restaurant we are visiting is famous enough to just called themselves “Puchong Yong Tau Foo” which shows lots of confidence in their food (already well known for years). The concept of having Yong Tau Foo is fairly simple in this restaurant which first requires you to move ahead to the food counter and pick whichever ingredients you want to have (put into a small basket provided). Once you are done just hand those ingredients to the staff nearby and they will take over from there onwards (transforming all into delicious Yong Tau Foo). An average cost per piece of Yong Tau Foo is roughly RM1.50 which considers relatively cheap despite so much option to choose from. Half of our Yong Tau Foo is served with vegetable fish soup which includes; Okra, Red Chilli, Tofu and Bittergourd. All ingredients are stuffed with fish paste (by now) in order to form Yong Tau Foo, tastes very toothsome due to all ingredients used are fresh. Feel not satisfied just by having Yong Tau Fu? 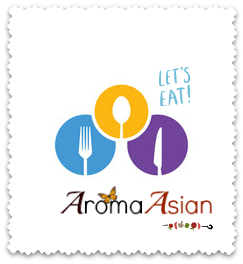 You may order a few bowl of steam rice RM1.00 (each bowl) and turn it into a proper meal! Here is the remaining Yong Tau Foo which consists; Brinjal, Egg, Crabstick and Bean Curd. Each ingredient is stuffed (with fish paste) then fried into golden brownish which has an extra crispy texture, tastes even more divine having it with the chilli sauces. Personally would prefer the egg and crabstick yong tau foo, while others tend to be very oily and desperately need to be soaked with a few layer of tissue papers (before eating). Apart from Yong Tau Foo, this restaurant also serves a delectable amount of snacks which might suit your palate. Wan Zai Gao (碗仔糕) RM2.20 which has a soft doughy flour base and a generous amount of salted shrimp paste as toppings. Tastes like having a chilled Thick Chee Cheong Fun (猪肠粉) which personally does not recommend. Paper Wrap Chicken (纸包鸡) RM4.60 is a marinated chicken wing covered with bits of shrimps, vegetable and mushroom. Another fail product which is stone cold upon serving and tastes rather weird (nowhere near like a roasted chicken). Address: 21, Jalan Puteri 2/2, Bandar Puteri, Puchong, Selangor.